Kovair Intelligent DevOps is an enterprise solution simplifying and automating execution and monitoring real time metrics. 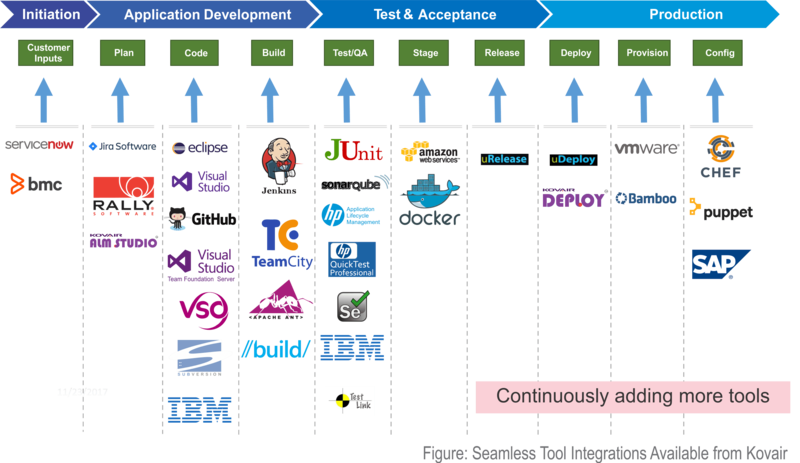 Kovair integrates DevOps methodology with ALM tools – from requirement or agile development to production deployment. 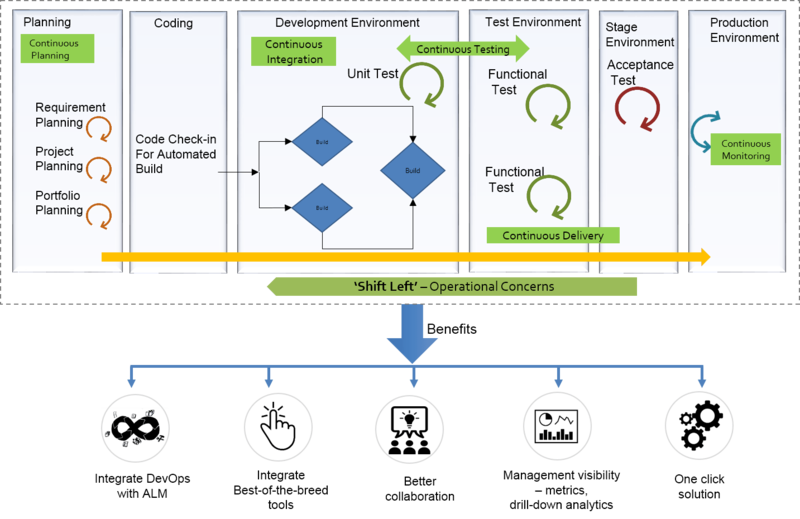 In an agile environment, business analysts, coders, testers and PMOs all must work together to meet frequent iterations, release, and delivery goals. Kovair facilitates Agile and DevOps initiative by providing seamless integrations between best of the breed Agile, ALM, PPM, and ITSM tools. 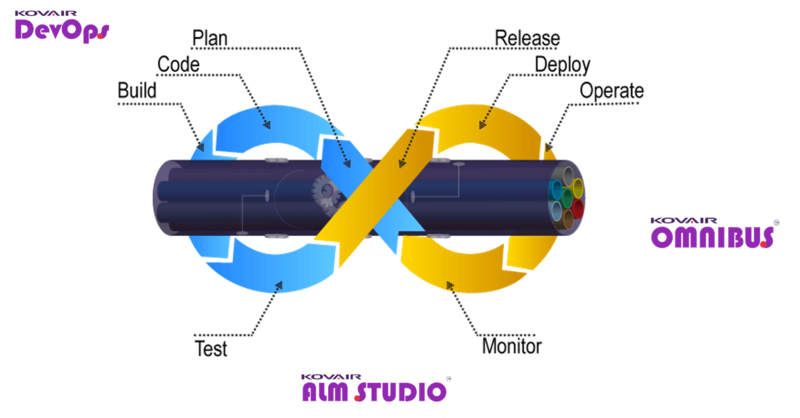 Whether your agile team wants to ensure continuous and quality delivery or accelerate deployment for rapid production, our multi-tools integrations support helps you achieve efficiency at scale. 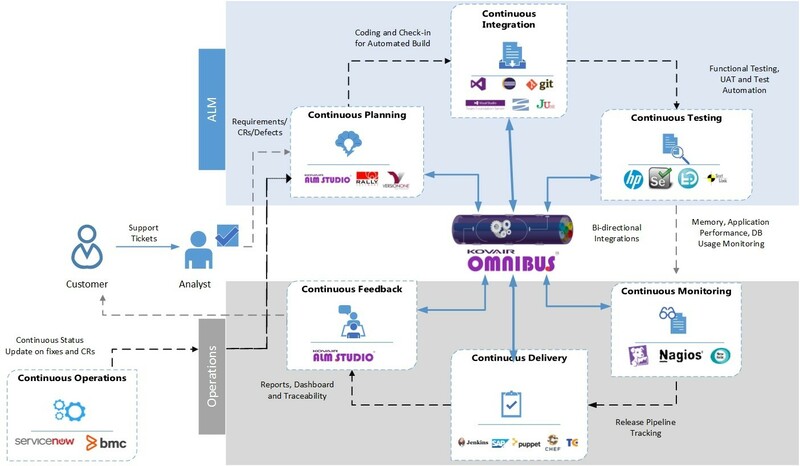 Kovair’s integration hub – Omnibus connects to 80+ multi-vendor, legacy, Open Source, and homegrown tools that are frequently used by Agile development teams. Kovair DevOps is a one-click solution which is easy to use, smart, fast and automated.